one 50T battery powered Motorized transfer car for 250 and 500 t is shippment out of factory. the customer sent one people to visit our factory. MR. Yu visited and measure the Lenght and width and hight and check all the part in the device list. everything is ok, then, we shipping out of factory. it cost about 3 days from our factory to shanghao port. the final custome is from dubai. they also ordered two another 6T battery powered transfer cart. we began to produce after receiving the 30% deposite. 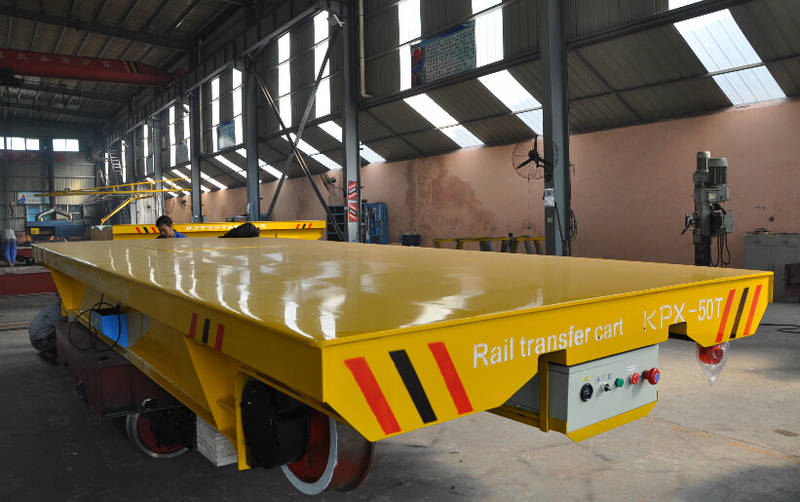 motorized transfer car for 250 and 500 t is a very popular type. many customers choose this type. before shipping, we shall make trial run in the factory. and we send customers the trial run videos. after everything goes well, we will agree to ship. the quality is our spirit of our company.